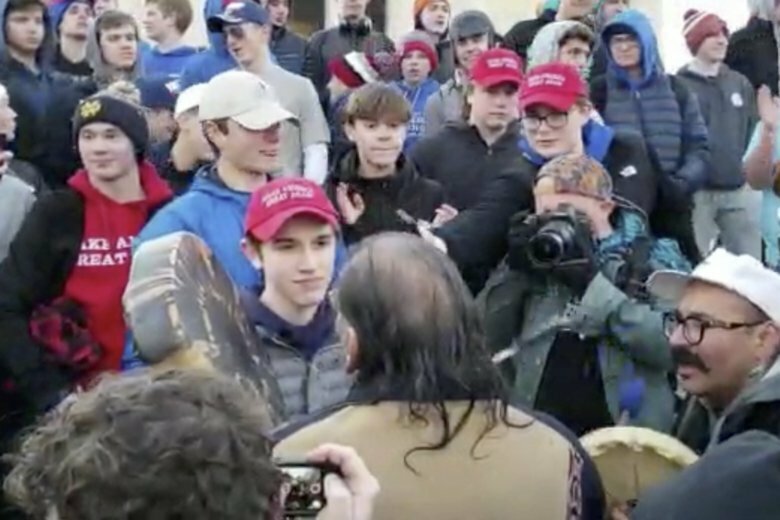 The student identified himself in an email statement Sunday evening as junior Nick Sandmann of Covington Catholic High School in a northern Kentucky suburb of Cincinnati. From another angle. This video was filmed yesterday. Video below may be offensive to some. It includes swearing.